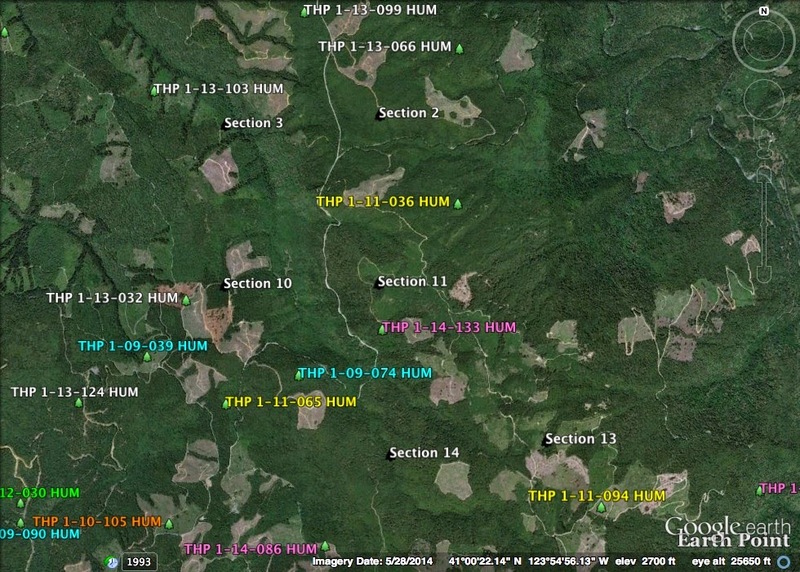 THPBlog: Green Diamond Resource Company to clearcut log north of the Highway 299 coast range summit. Green Diamond Resource Company to clearcut log north of the Highway 299 coast range summit. This THP is about 10 miles NE of Arcata, CA and about 4 miles north of the Highway 299 coast range summit at an elevation of 1,600 to 3,080 feet. Green Diamond Resource Company is planning a tractor and cable logging operation in Douglas fir, redwood, grand fir and western hemlock forests. The THP area flows into the Little River and Redwood Creek which contain steelhead, chinook salmon, coho salmon and coastal cutthroat trout. There are 3 unstable areas in units D and E. Green Diamond Resource Company is proposing an exception to the rules to be able to use a limited amount of fill at crossings that exceed 65% grade. More information is available on the THP Tracking Center website.